Water kiting I've been going to 20M lines on all my kites for the same reason Felix stated above. For snowkiting I go back to 23M lines on my 2 biggest kites....lots of need for more powerful loops climbing hills & a lot more boosting using the terrain coming down - I prefer the kite to fly a little slower. 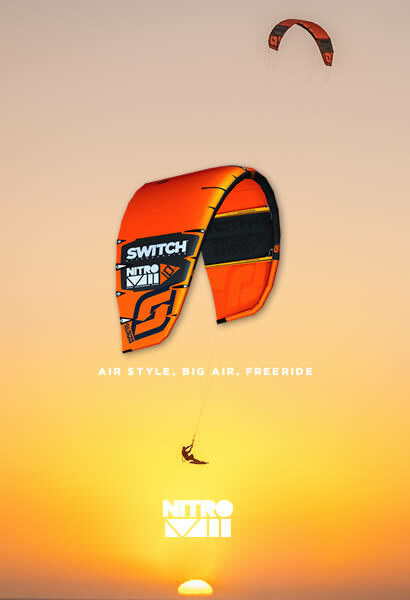 Which kite has the best windrange between the Nitro 6 and the Element 6 ? 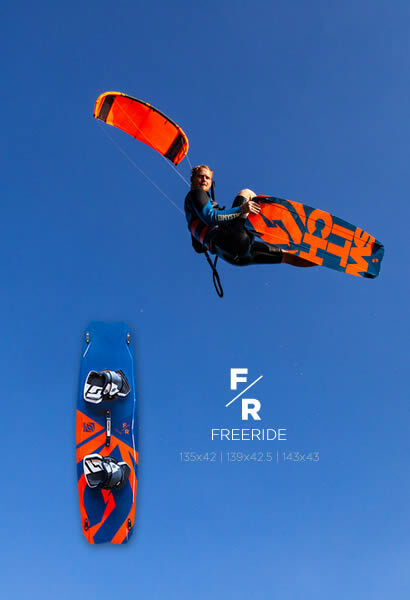 I have been riding the NItro6 and Element6, I would say clearly the Element6, but it is to different kites, with different opportunities, riding a 140x43 board and weight around 95-98kg, but it also depend on the level you are on. Need a little help deciding which kites to purchase. I am currently riding an 8m Nitro 4, 11m Element v2, and 14m Nitro 4. I am 220lbs and I mostly freeride and boost with twintips. I am looking to replace the Element with 10m and 12m kites, but can’t decide whether to get the Nitro 6 or Element 6. Can someone that has experience with both provide some feedback on wind range, which one boosts better, which one loops easier, hang time, etc. There is no 11m size available and I want to have all wind ranges covered without too much overlap. I realize this is a broad question but I haven’t seen too many recent direct comparisons between Nitro and Element on forums. Currently my Element 5 5m becomes a bit of a handful when foiling in 30-35 knots winds.It's doable, but not fun. Should I get an Element 6 4m or 3m? I am looking to have fun on the foil in the 30-40 knot range. By "fun" I mean carving around on the waves and generally swooshing about. Same question, i'm hesitating between the Element 6 and the Nitro 6 in 7m for stormy sessions. I already ride in Element 6 in 12 and 9m. I’m a 75kg rider on a 132x40 Naish Thorn here are my observations/review of the E6 12m and 8m after a dozen or so sessions on flat/chop. My observations are from the perspective of someone very new to kiting (think 10 sessions ago I couldn’t jump and was still dropping into water on transitions). For what it is worth and for fairness of comparison sake my other kite experience was on a well worn 2011Evo 10m and a bit of a play with ~2016 model Catalyst and Dice. I also have ~10yrs windsurfing background which I have been told possibly helps me from a lightwind handling standpoint. E6 has very easy/stable launch/land and water relaunch, the kites appear very well built with protection in all the right places, zero sign of any wear and tear on critical areas so far having used it in Aitutaki (sharp coral sand/grit) and local estuarine mudflats. These kites turn very quickly (I use the 55cm C4X bar and 20m lines). They seem to sit further fwd in the window making edging upwind much easier than my old kite which would hang back a bit, maybe that’s just the difference between nice new kit and flogged old stuff though? The low end power is impressive, at my weight I find both kites are easy to get going right on the low end of the published wind range, even a knot or two less is possible if working the kite a bit. On the 12m I tend to find once wind is ~20kts I’m running 1/3 depower (with kite rigged on the depower knots) and can comfortably switch to the 8m, as I get more experience though I suspect I would be holding onto the 12m fine on standard knots with similar depower and not swap out to the 8m till ~22kts. Jumps great, my landings leave a bit to be desired still but that’s a rider skill issue. Loops (for transitions only at my level!) give a nice solid consistent pull and the kites are stable in general with predictable control input-response that I really like. As someone else had mentioned the ‘litekite’ bag it comes with is nice and simple and does the job, ideal for traveling too (when packing kites into boardbag). Was going to buy a proper bag with my kites but they were nil stock at the time and don’t think I’ll bother now, will just throw them in my crusty old kite bag with bar etc if I need to trek them into a launch area. Service was great, the kites arrived in under a week in NZ. For a similar price my other options were going to be some (admittedly relatively new) second hand kit or random demo models/brands/sizes however finding exactly what you want when you want it in that kind of market just luck of the draw really so it is nice to just be able to buy exactly what you want at a good price. All in all a happy Switch customer here, good product, good price. I bought an Element 6 4m. The first ride I was underpowered. I added some higher knots on the pigtails and that increased the available power with minimal increase in stalling. It took a little while to get used to feeling very little power in lulls, but that got better as I gained more confidence. After that it was happy swooshing with fast, tight linked turns happening all over the place. I think I'm going to like this kite.